A brace of FT-17 tanks in Japanese service. Again, these are Heroics and Ros so lack some of the fine detail of GHQ or CinC models but hey, they paint up rather well! 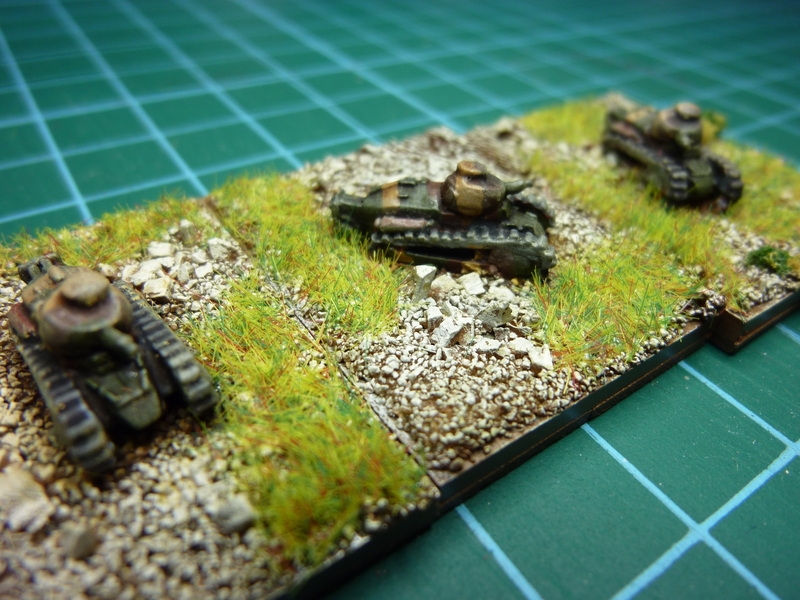 I’ve been slapping the Tamiya weathering makeup around a bit as well so these guys do look suitably dirty and ready for service in Manchuria, on the Mongol border. 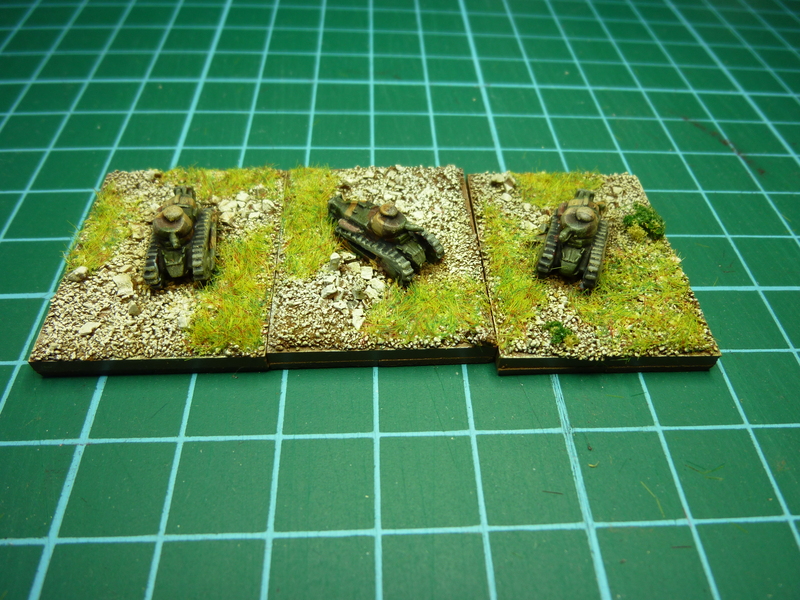 Nice work Thomo, those look great.. but you wouldn’t want to be the crew facing T26 or T34!